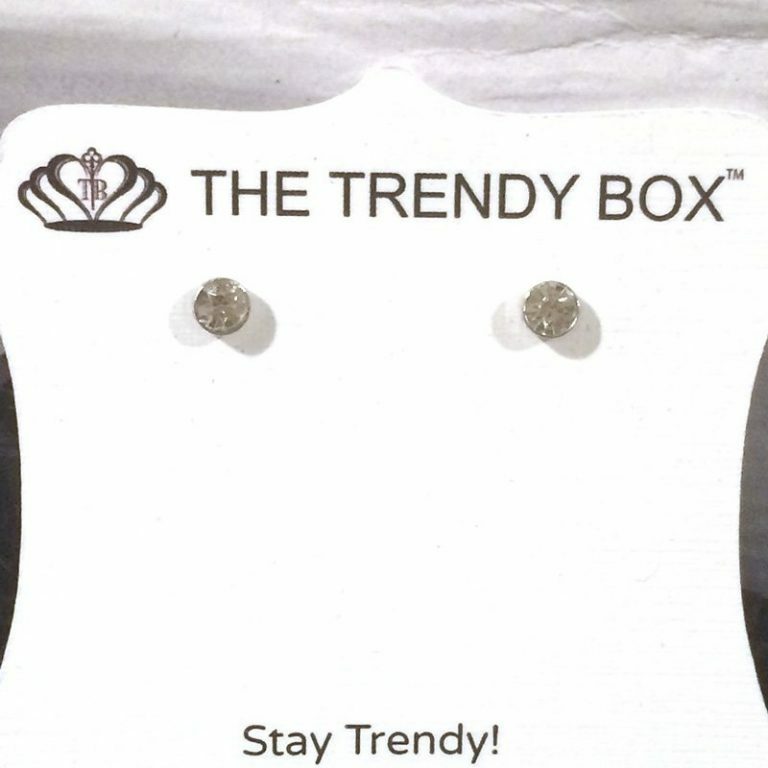 The Trendy Box is every trendy woman’s dream. 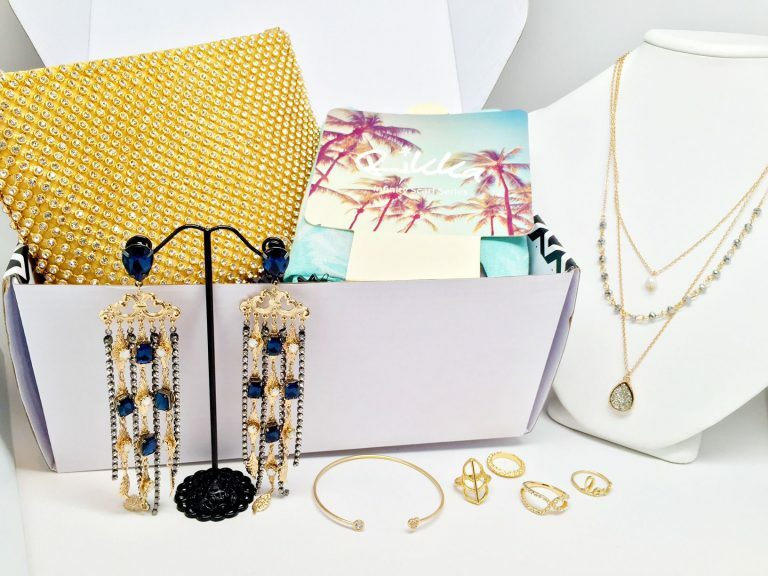 Every month, The Trendy Box delivers 2-4 carefully chosen jewelry and/or accessory pieces right to your door. Each box costs $35 but often contains items with a cumulative value of double or triple that cost! 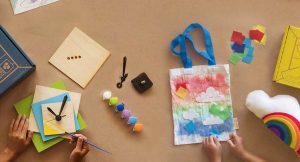 The Trendy Box ships the 15th of the month with a shipping speed of 3-5 days – that is pretty good service! 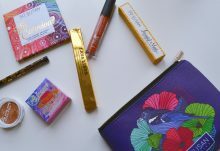 With today’s The Trendy Box review, I’m unboxing the June 2017 The Trendy Box. 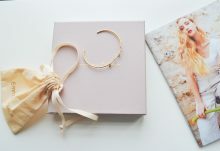 The June 2017 The Trendy Box jewelry pieces were carefully chosen with the early summer “good vibe” in mind. Y-link: This glittering cubic zirconium necklace is long and perfect for layering with other necklaces or by itself for a dazzling statement. It is recommended to wear with a deep V-cut romper or dress. It has an MSRP of $38. Paris’s Gem: This necklace is the perfect medium between subtlety and statement piece. It has a lightly colored gem in the middle surrounded by white gemstones on a bronze/gold colored adjustable chain. You could easily dress this up or down and wear with many different color combinations. This is a steal with an MSRP of $43, that is more than the total cost of the subscription fee! There were two different color combinations sent to customers, which one did you receive? Micro Studs: These simple studs are the perfect addition to any outfit or jewelry combination- my recommendation would be to wear with this month’s Y-link! I like these studs because they balance this month’s box by adding some simplicity. If you already have studs, they would make a great simple yet practical gift to a girlfriend! If you are loving your The Trendy Box experience, you can share a selfie using #thetrendybox for a chance to win a free box! Which was your favorite June The Trendy Box jewelry piece?